289,000 women and girls die every year due to complications related to pregnancy and childbirth. 289,000 women and girls die every year due to complications related to pregnancy and childbirth. The Walk' aims to raise awareness about one of the greatest barriers to maternal healthcare – distance. Millions of mothers simply live too far away from the skilled care & supplies needed to ensure a safe birth outcome, and in rural areas, distance can often be the difference between life or death for mom and baby. The Walk juxtaposes two very different journeys that pregnant women in different parts of the world have to take to deliver their babies safely. It is a poignant reminder of the harsh realities that so many pregnant women still face, especially in rural areas - both near and far. 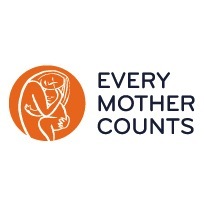 Every Mother Counts continues to run marathons and run/walk 5k's to raise awareness and funds so these women won't have to walk when reaching critical care – which is their human right. On April 26th, Every Mother Counts founder, Christy Turlington Burns, will run the Virgin Money London Marathon to raise awareness about the fact that thousands of women and girls still live too far from the care and supplies needed for safe motherhood. Support her efforts by running/walking in solidarity with her during the marathon. Download the Charity Miles app and select Every Mother Counts. For every mile you run/walk, 25 cents will be donated to Every Mother Counts and will go directly to support programs around the world that link mothers to providers of essential care.